The following information outlines progress to date on the Master Plan for Valley High School. This graphic indicates square footage needs to support programs and activities at both Valley and the Innovation Center. Click on the graphic to view full image. This graphic indicates program options that would require a combination of small to large spaces. Flexibility in adjusting the size of each space would allow for the greatest number of configurations based on programs offered. 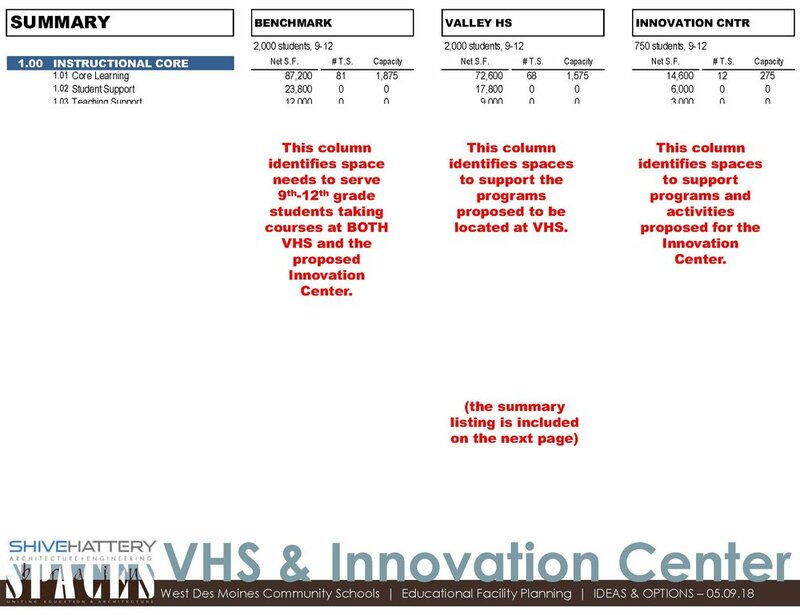 This graphic indicates square footage needs broken down by instructional core, activities, common areas, and offices for both Valley and the Innovation Center. This graphic lists program options for the Innovation Center as well as a list of school districts across the country who have an innovation center. This graphic indicates program options that would require a combination of small to medium spaces. Flexibility in adjusting the size of each space would allow for the greatest number of configurations based on programs offered. 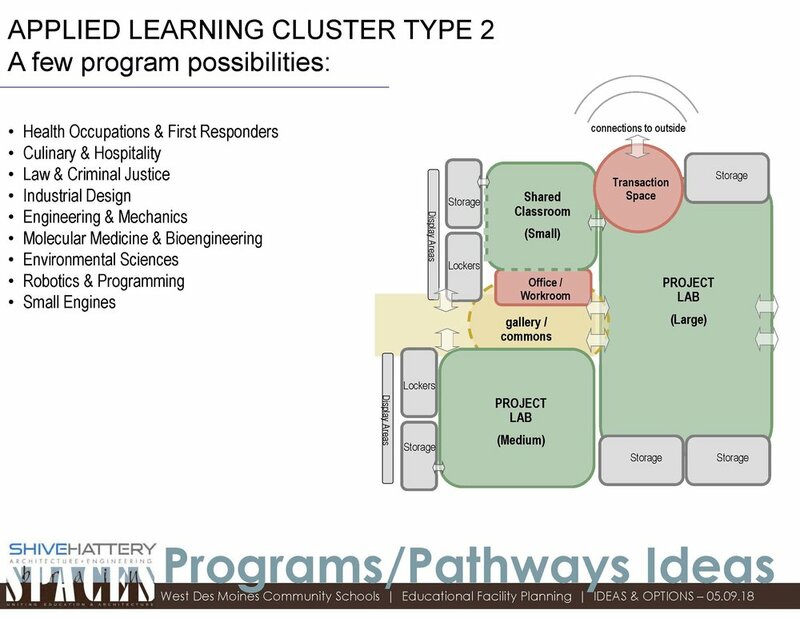 This graphic indicates potential groups of programs that could be offered at Valley High School, the Innovation Center, or both. This graphic indicates program options that would require small spaces. Courses offered could be a combination of core classes and new programs that do not require a larger space.